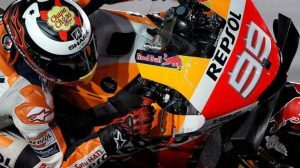 Jorge Lorenzo will be able to participate with the Repsol Honda team in the two official pre-season tests that will be held in Valencia and Jerez during the next month of November. This was confirmed today in Austria by the Ducati Corse Sports Director, Paolo Ciabatti, when he was asked if the Mallorcan rider will have the approval of his factory to test his new Honda RC213V in Spain. “We will let Jorge try Honda with his new team, it is quite normal”, said Ciabatti to the question through by Movistar MotoGP. “He will be a Ducati rider until Valencia, but then there is no reason not to let him try his new team, obviously there will be some restriction in terms of respecting the contract with our sponsors, but he will be able to do the two tests, the Valencia and Jerez with his new team “, explains the Italian director. A little more than a month ago, the director of Ducati Corse, Gigi Dall’Igna, told Diario AS that Jorge Lorenzo would have no problems from the Italian brand to participate in the first test that will host the Circuit de Valencia on 20 and 21 November, just two days after the final race in Valencia. 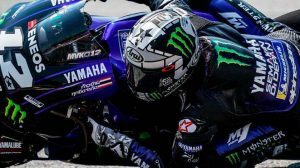 However, Dall’Igna left in the air the possibility of seeing Jorge Lorenzo come up on the Honda in the subsequent Jerez test scheduled for November 28 and 29. 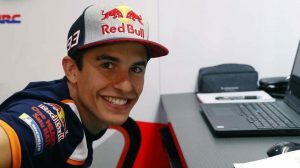 Two days of official training that, unlike other seasons, will not be private since they will be organized directly by IRTA, hence now the factories have fewer arguments at the time of vetoing a test of a pilot who will no longer continue with them. “It’s not sporting to forbid a rider to get on his new motorbike, but some say that this is not just a sport but also a business, I think it’s wrong reasoning, we’ll decide when the time is right,” Dall said then. Igna in this regard last June. In Ducati they want the departure of Jorge Lorenzo to be as friendly as possible. For this reason, in Borgo Panigale they will not prevent their rider from being at the controls of the RC213V that will leave Dani Pedrosa free only 48 hours after the Valencia Grand Prix, a test in which we will see a Lorenzo without sponsors as already It happened two years ago in his debut with Ducati after leaving Yamaha.